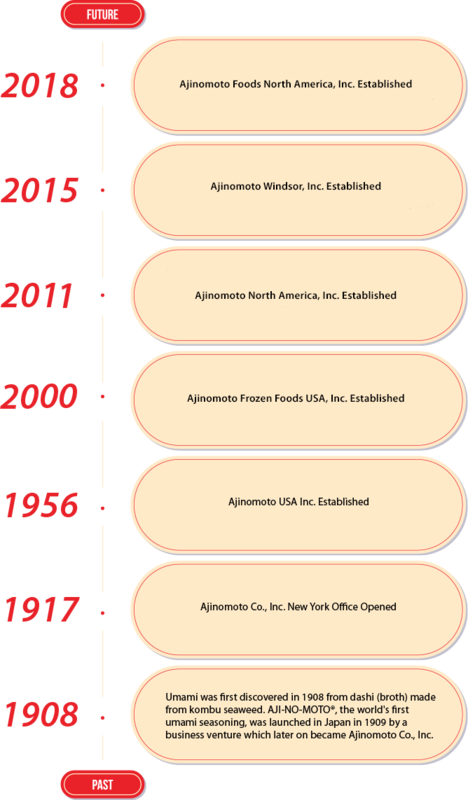 Ever since the launch of AJI-NO-MOTO® in 1909, “Eat Well, Live Well” has been our aspiration, to create products that deliver good taste with a focus on the nutrition and health of our customers. We make a wide variety of high-quality, authentic Japanese and Asian frozen foods that are delicious and convenient as well as seasonings essential to Japanese and Asian gourmet cuisine. We place a great emphasis on food safety and quality to deliver safe and reliable products.